So, our big competition is launched, and you have the chance to design a new OnePiece and pocket £500. The designs above will inspire you, sent in by Carsten. 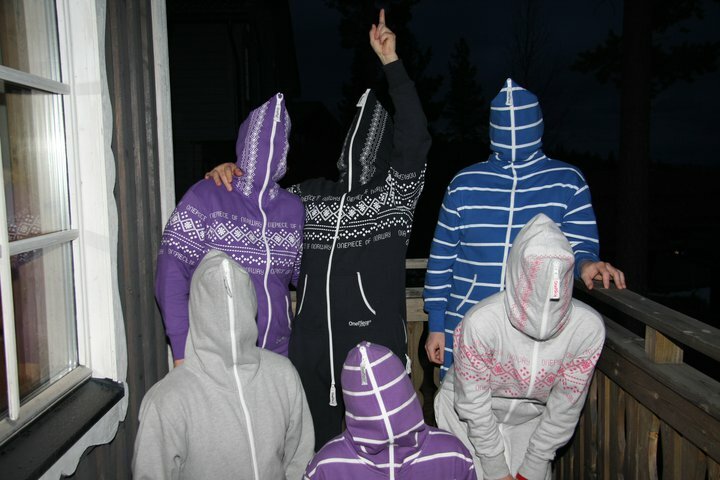 He and his mates all zipped up, having a laugh in their OnePieces. OnePiece is about the chill-out, good times, with friends. Wear it how you like, then share it with us OnePiecers. We are preparing ourselves here at OnePiece to launch our new website soon. Keep checking back – there’ll be new designs and colours to choose from. Until then, there’s a great collection available today. It’s the Bank Holiday weekend in the UK… looks like rain. Get yourself a OnePiece. It works whatever the weather and makes you feel like you’re on holiday everyday. Make today a OnePiece™ day. *smiling. Previous postLast Few Days to enter the OnePiece Competition!